Although estrogen replacement therapy may seem like a dream come true for women suffering from an estrogen deficiency, improper or prolonged use can cause adverse reactions. 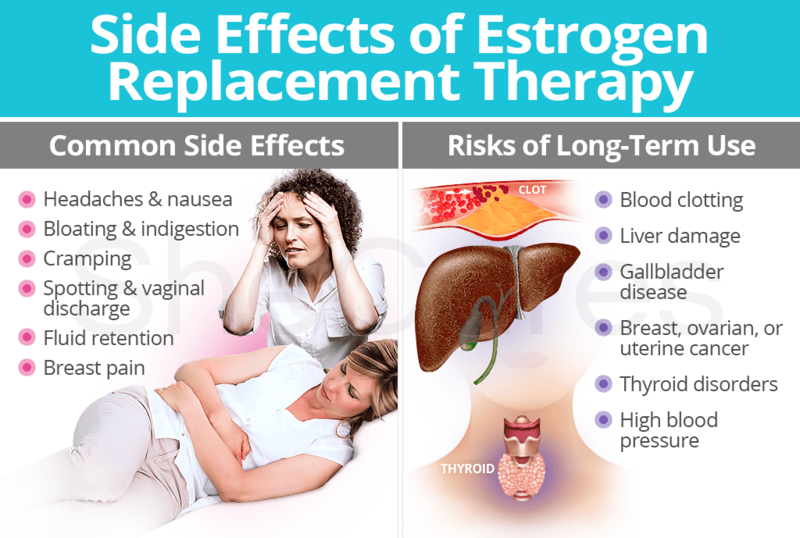 Continue reading to learn about estrogen replacement therapy side effects, including the most common ones as well as the risks of long-term estrogen hormone use. Keep in mind that this list is not exclusive. Because every woman will react differently to the introduction of external hormones into her body, she may experience other estrogen replacement side effects not aforementioned. In addition to aggravating symptoms that women with hormonal dysfunction may already be suffering from, side effects of long-term estrogen use may also include more serious conditions. Blood clotting. 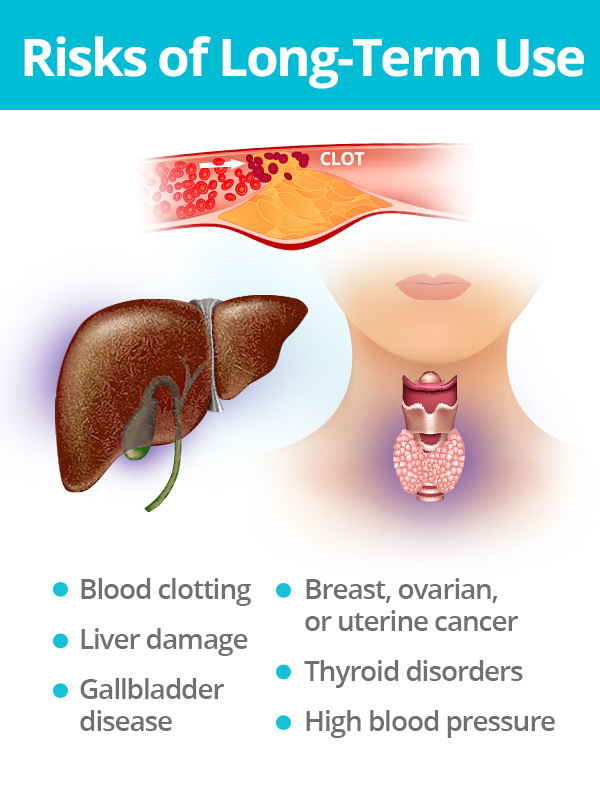 Estrogen replacement therapy could prompt blood clotting, which can cause a stroke, heart attack, or pulmonary embolus. Liver damage. Prolonged use of oral forms of estrogen hormone therapy may cause liver damage if dosages are not adjusted or discontinued accordingly. Gallbladder disease. Research studies have found that estrogen replacement therapy in postmenopausal women increases their risk of developing gallbladder disease by increasing the likelihood of gallstone formation. Breast, ovarian, or uterine cancer. Estrogen-only HRT can increase the risk of developing certain reproductive cancers, especially uterine cancer. As such, it is generally only recommended for women who have had their uteruses removed. High blood pressure. The duration of use of estrogen replacement therapy significantly raises the odds of having high blood pressure once a woman transitions from perimenopausal into postmenopausal. Thyroid disorders. Estradiol treatment can cause the thyroid gland to be overactive, a condition known as hyperthyroidism. Nevertheless, estrogen replacement therapy isn't the only hormone therapy options available. Continue reading about progesterone replacement therapy by clicking on the link.